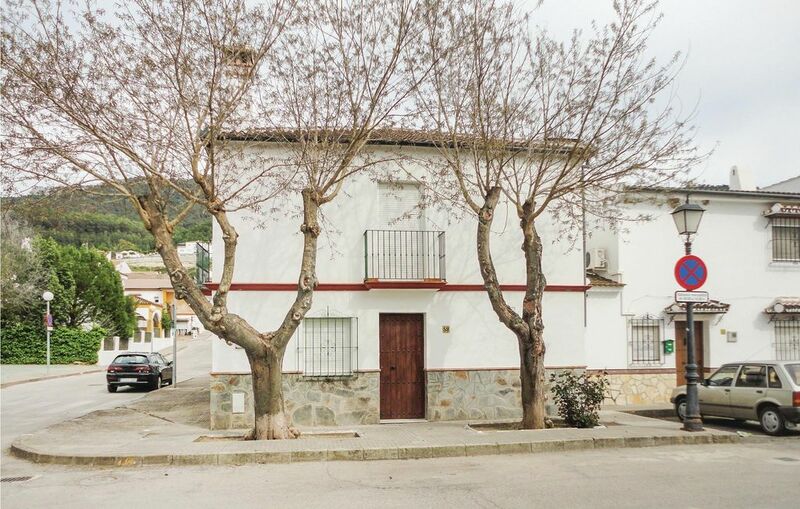 The holiday home ‘El Estanco’ can be found in El Bosque, an exquisite tourist town that forms the gateway to the Sierra de Grazalema Natural Park. The house extends over two floors, with the ground floor boasting a large living room with fireplace and a dining room, which is separated from the open-plan kitchen by a small American bar. The same floor also offers a room with two beds, and a bathroom, along with a large, partially covered terrace. There are three rooms with two beds and a bathroom on the first floor. You will find restaurants, bars, a public swimming pool and the Tourist Information Office for the Nature Park just a few metres away, where you can find out all about various routes and paths in the surrounding area. There is also a fish farm in El Bosque, where you can find outstanding trout. There are various museums to visit, such as the museum at the old mill, which has been restored and is always popular among visitors. The holiday home is very close to one of the most important regions in southern Spain, where paragliding is an especially popular sport. There are also small companies here specialising in producing sausage products with quite some degree of success in the international market.